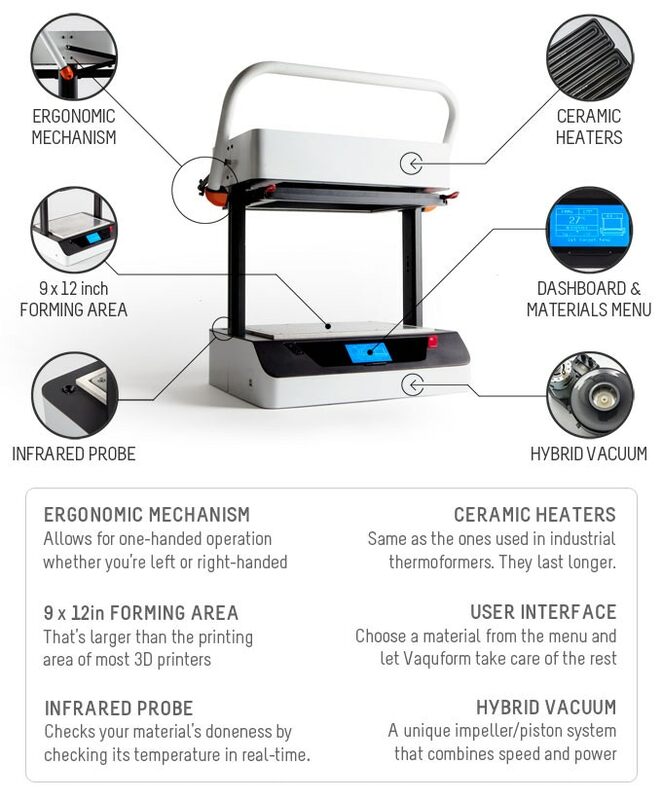 As big fans of home engineering here at GYGO we were blown away when we heard about the Vaquform, the world’s first digital desktop vacuum former we simply had to know more! The brainchild of creator John Tan, an industrial designer, product developer and lecturer at the University of the Philippines the Vaquform offers a revolutionary approach to vacuum forming away from large factory processes. In his design practice, John specializes in what he calls DFM or ‘Design for Manufacturing’ where he helps clients find the fastest and most cost-effective wayto manufacture their products. This means designing a product from the ground up or reworking an existing design to facilitate production. Often, it also means recommending the acquisition of equipment to meet specific manufacturing challenges. When it is not feasible for a client to follow through with a new capital investment, John will usually work with the company to come up with an improvised solution. In one such case in 2012, a client needed a very large vacuum former for their growing signage business. Rather than importing one, the company commissioned John to design and build this machine, which saved them thousands of dollars. John would eventually find a niche in designing and building custom thermoforming machines. 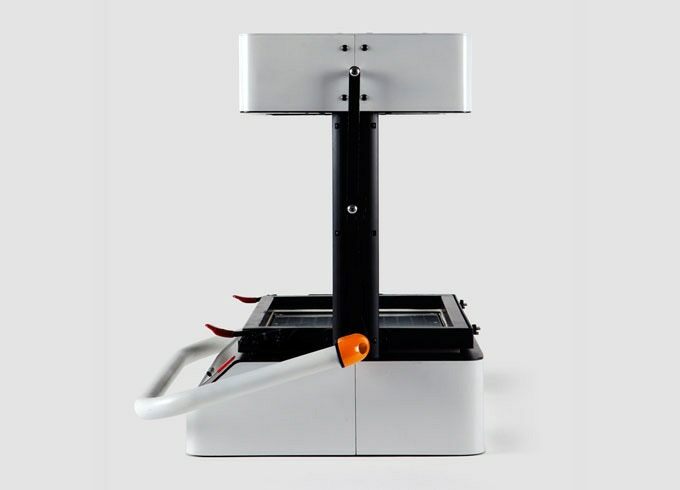 In 2015, the Philippines’ Department of Science and Technology (DOST) commissioned him to develop a studio-grade vacuum former that could easily be fabricated by domestic manufacturers. Knowing that the machine will most likely be operated by non-engineers with little or no technical training, he set out to design something that would be easy to use. A key part of the solution was a software-based controller with a graphical interface and a menu from which users can simply select a material and all the process parameters would automatically be set. This same controller would later be adapted for a side project which John started while he was still working on DOST’s machine, a desktop thermoformer called Vaquform™. As a designer, he has experienced firsthand how 3D printing and other low-cost fabrication tools could make product development work go faster. This ecosystem of new tools could be further enhanced, he realized, if there existed an affordable, commercial-grade vacuum former. Such a machine could start a desktop manufacturing revolution, John imagined, except no commercially available machine at that time met the price and performance parameters he had laid down for his own pet project. From what we’ve seen so far the Vaquform is an incredible piece of kit which is sure to make a huge impact when it releases worldwide. We’re hoping for a hands on test of the machine in the near future so watch this space. In the meantime find out more at www.vaquform.com.